BETTER internet connectivity and a targeted education process that demystifies the digital world are desperately needed to give farmers and graziers the confidence to fire up the on-farm automation revolution. 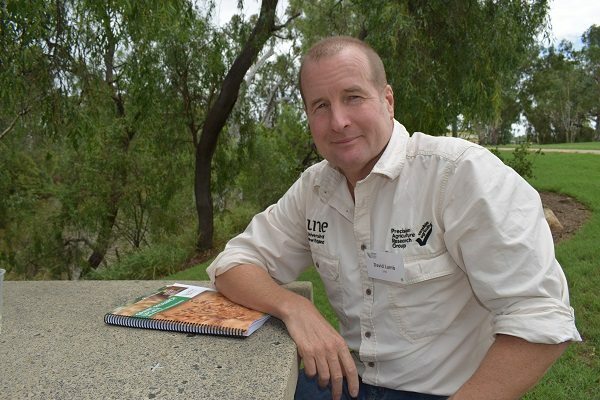 That’s the impassioned view of University of New England professor of physics and precision agriculture, David Lamb, Armidale, NSW, who says on-farm connectivity issues and a lack of ‘digital literacy’ are holding producers back from taking advantage of the latest technologies. Speaking at a Grains Research and Development Corporation update in Goondiwindi, Professor Lamb said the challenge was to find ways to improve telecommunications in the bush and progress on-farm technology adoption. “The problem for farming communities with all the technologies and ag innovations that are appearing on the horizon is that they need to be connected to the outside world with good, reliable internet connectivity,” he said. Professor Lamb said advances in wireless sensor networks, coupled with in-situ, low-cost machine, crop, animal and asset sensors – the so-called ‘internet of things’ – meant farms could become sources of high-quality, real-time management data. “There is a radio revolution underway right now. 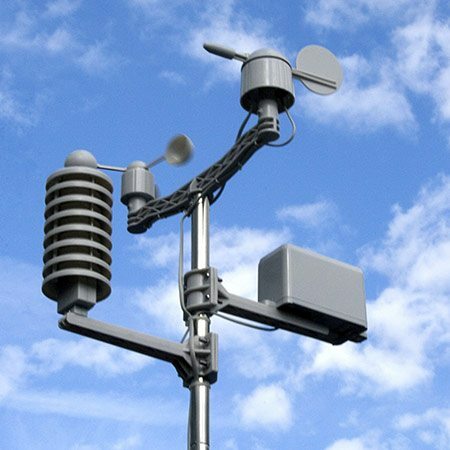 We have long range radio, LoRAWAN (long range wide area network), which is relatively low frequency at 900 megahertz. Its system is designed to transmit small bits of data over many kilometres,” he said. 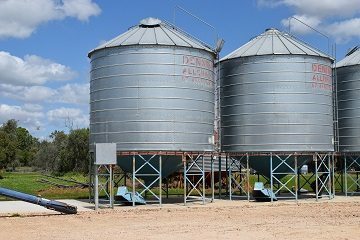 “It is ideal for things like water level sensors, silo level devices, gate opening and closing devices and automatic weather stations. “Then there is also wifi. You can create wifi around the office, shed and various work precincts. But there is also the ability now to direct wifi out over hundreds of metres. So, you can create open area wifi networks. Professor Lamb said while connecting these devices on-farm was not challenging from a technology perspective, many farmers found it confronting. “The challenge is that for people to have the confidence to invest in connecting all these things is you really have to understand the technology. It’s the ‘digital literacy’ that’s a challenge for farmers,” he said. Professor Lamb said another constraint to IT adoption was the often poor state of internet connectivity for many farms. “Many of the devices and systems that can be hooked up on farms send data to the cloud. The only way we can bring that stuff back is through the internet. So, it boils down to the question of whether the producer has reliable internet access,” he said. “The challenge we have is that a lot of producers are relying on landlines or weak to moderate mobile broadband signal strength. Their connections are unreliable. “With fixed wireless NBN, which occurs in that ‘magic’ 15-kilometre radius of major centres, and even Sky Muster, which is the NBN satellite, producers are finding the reliability of the connection a real challenge. Professor Lamb said farmers needed reliable, high-speed systems to bring the data from the powerful, diagnostic tools that are available on their farms back into the office or, better still, onto their mobile phones. “We can’t have farmers tied to their offices. They have to be able to move around on their tractors or in their yards. When they are out troubleshooting problems in the paddock they want to be able to pull down data and information on their phones,” he said. Professor Lamb said a concerted, targeted education and extension campaign was needed to address the issue of 60pc of producers not knowing where to start with IT adoption. “We need to create demonstrator sites. We want to get a few farms ‘lit up’ and connected with the best available technology to overcome the challenges with the connectivity environment – poor mobile connection, unreliable NBN – and look at some of the sensors and connected approaches we can take internally,” he said. Professor Lamb said there was also the need to develop educational material that utilised the power of the internet and social media. “We have to get farmers demystified about all this. Think of where precision agriculture was in the 1990s when researchers and tech developers were really trying to kick-start precision agriculture. It was the same issue – getting farmers to have the confidence to have a go,” he said. “It is the same with telecommunications, only worse. Farmers don’t hear about telecommunications in their learnings. They don’t hear about it at field days, they don’t hear about it at university even. Thanks David for highlighting and Jon for writing the story. The lack of or speed of connectivity across the Pastoral operations within Australia are constricting the ability of producers to uptake the singnificant technological advances that are being developed and have application to our industry. It seems a bit pointless to continue to invest so much R&D monies in advance systems that have the potential to provide productivity, sustainability,livability and safety gains for Ag when a significant number of producers cannot access effectively or affordably. Lack of connectivity is likely the single largest constraint to lifting innovation uptake . Great that this IT learning deficiency is being recognised. A considerable number of primary producers would benefit from some basic start up and connection information.